Expert Advisor Exit Rules: The traditional SL, TP and TSL, if there is an opposite signal. IsAutoAllocationMA = true - dynamic allocation period. Period = 5 - period of Faster Moving Average (value 5), if not automatic allocation period. Mode = EMA - type of Moving Average (SMA, EMA, SMMA, LWMA). Price = Close - type of price (Close,Open, Low, High, Median, Typical, Weighted). Period = 8 - period of Slower MA (value 8), if not automatic allocation period. Mode = SMA - type of Moving Average (SMA, EMA, SMMA, LWMA). Risk_Management: Automatic - calculate lots automatically. Auto_Risk_Percent: 2 - automatic risk. For example, 2 means 2%. 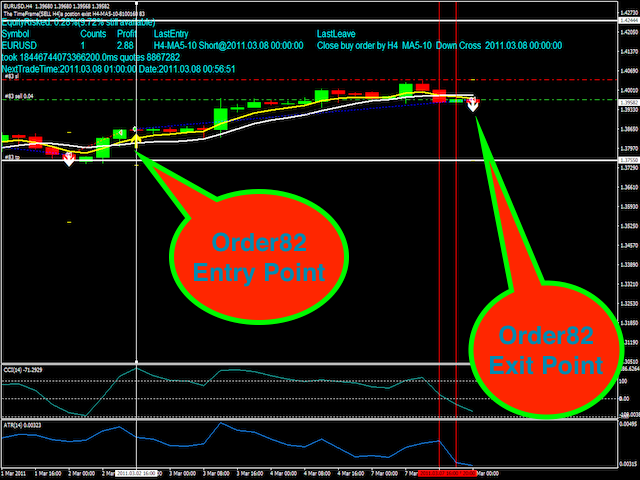 Auto_Max_Risk_in_Total_Orders: 10 - automatic max risk. For example, 10 means 10%. Manual_Maximum_Lots: 1 - maximum lots. MaxTrades: 9 - maximum postions number. AutoStopLoss: AutomaticStop - automatic stop or manual stop. 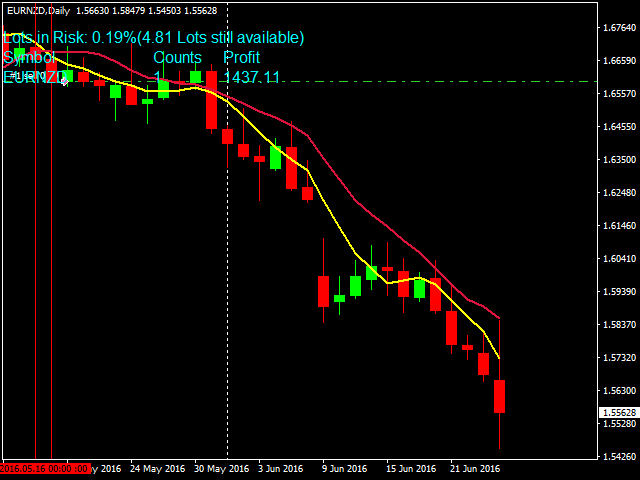 TPTimesStopLoss: 3 - TP is 3 times stop loss. 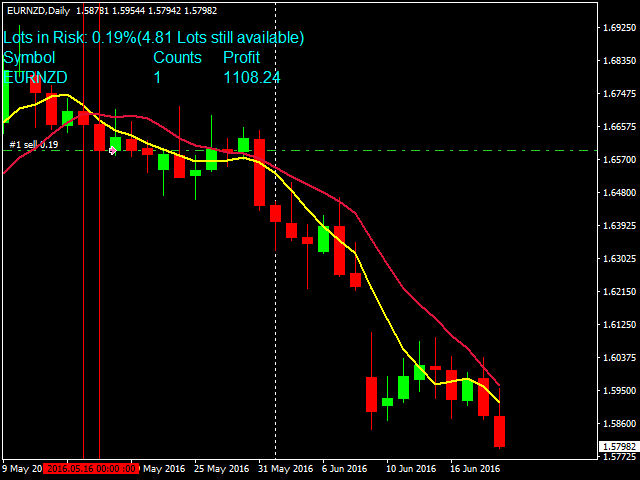 StopLoss = 150 - stop loss in pips, manual stop. 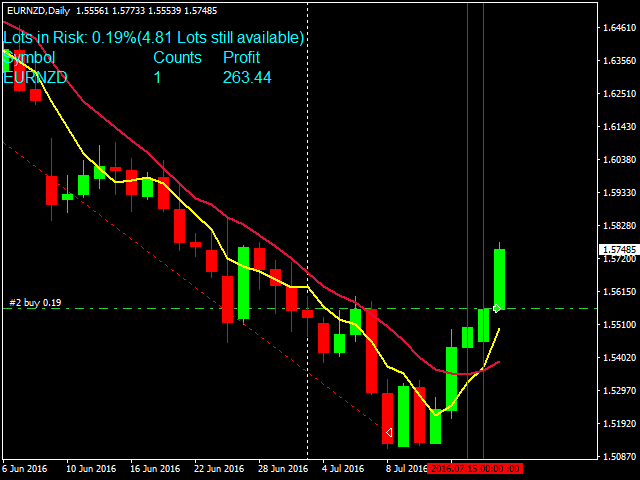 TakeProfit = 300 - take profit in pips. 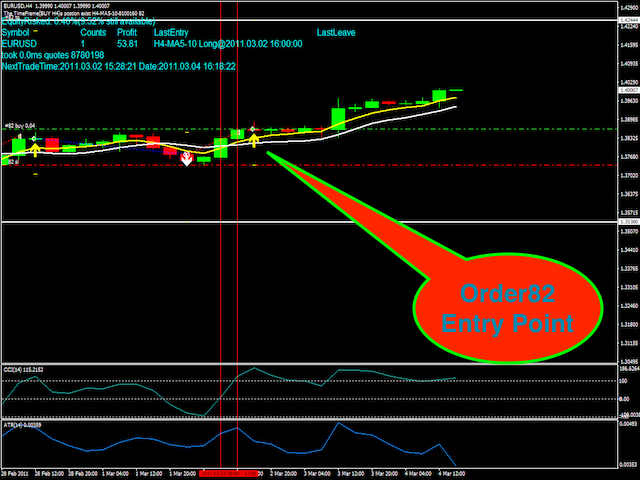 UseTrailingStop = false - trailing stop loss on/off. TrailingStop = 20 - trailing start stop in pips. TrailingStep = 5 - trailing step in pips. Slippage = 3 - maximum price slippage for orders. PROFIT: 50 = orders will be closed as soon as the current profit is equal or above the preset profit. Direction = Both - trade directions. Both: allow both, Buy: allow buy, Sell: allows sell, Disable: disable trade. 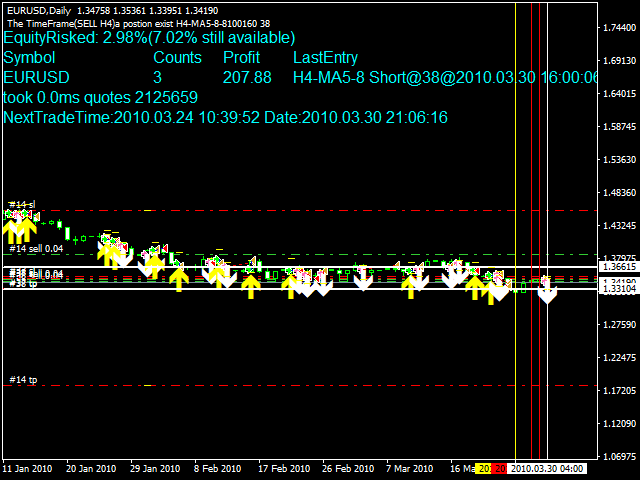 Wait_Mins_For_Next_Trade = 30 - wait time for the next trade. The default settings in the EA are simply place holders. Before using the EA, please enter your own settings that work for you best.